Vista Services Optimizer is a free tool to optimize windows vista for great performance and speed. I recently got so many complaints about slow speed on Window Vista. 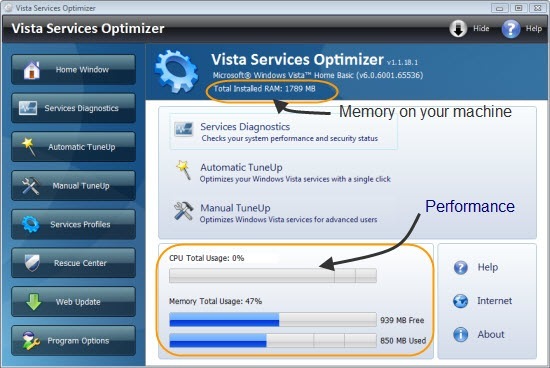 Those who need a high performance Vista on their laptop or PC, should go for Vista Service Optimizer. Here we are talking about an optimizer which stops different services in Windows Vista which are not required at this time for you. Actually Microsoft provides so many application inside Vista for their different customers and if you are not falling into that then you should switch off those bulky services on your PC. 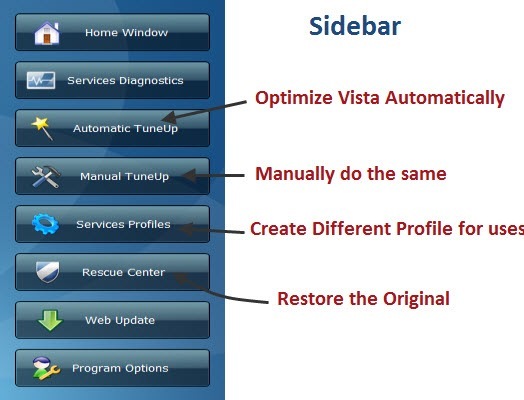 Vista Services Optimizer does the same for you. It is having an option to “Automatically” optimize the system based on certain parameters. You will have to choose whether you use Internet, Printers, Network Connection on your machine, then it will control those services accordingly. 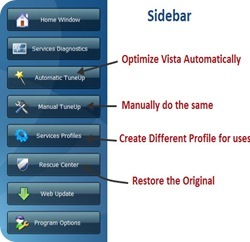 Rescue center is also there which can restore he changes done by “Vista Services Optimizer”, so whenever you feel that it messed up al the services then just undo the changes.